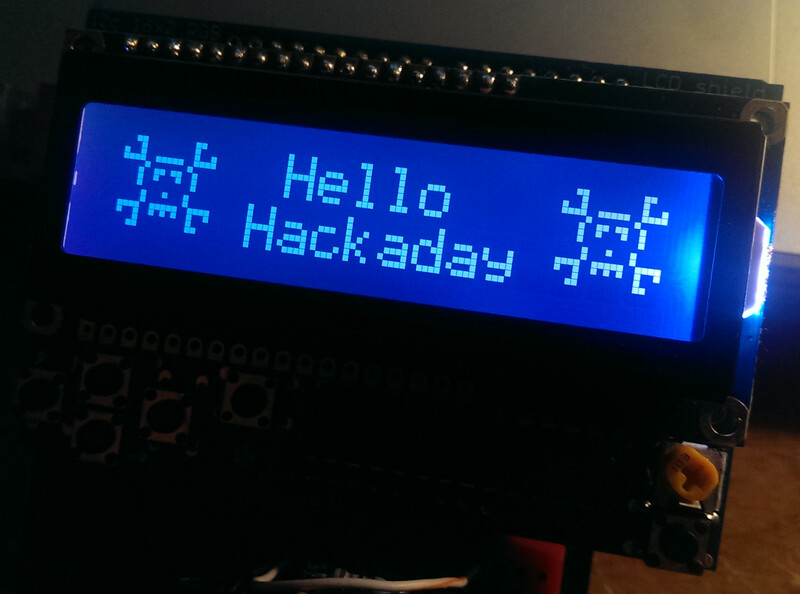 We figured we’d see at least one entry that used a stepper-motor enabled Etch-a-Sketch. [Jim] didn’t disappoint, including a video link to the drawing process. This flip-dot display entry is worth a bit of your time. Head on over to [Axel’s] GitHub write-up for the full details of acquiring and reverse engineering the display. [Jay] used PlotterBot, his hanging pen plotter robot, to trace out the logo and the filled it with many smaller versions. This one gets a big image slot for the creativity. 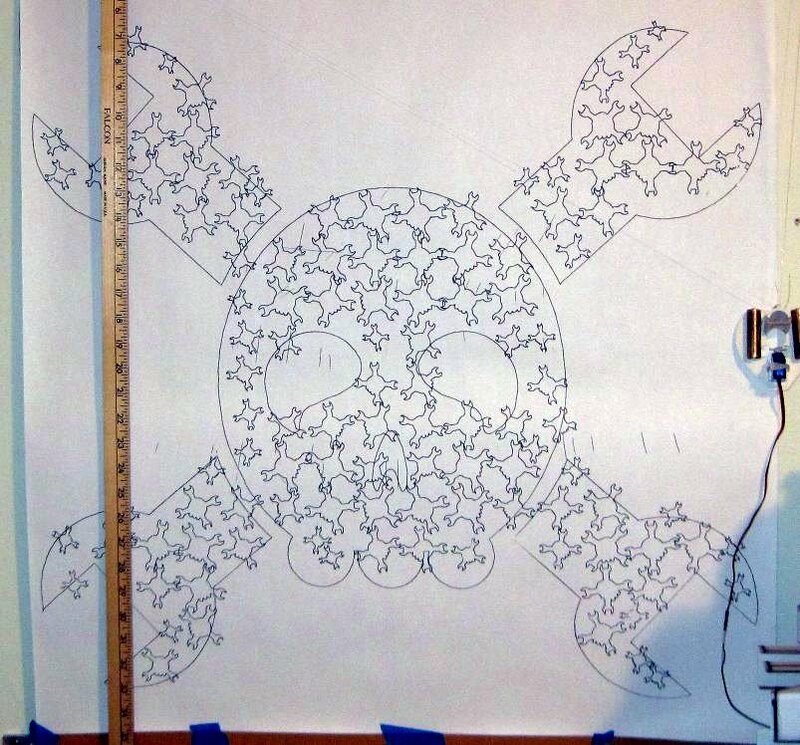 [Miha] used real wrenches and possibly a real skull to model the logo, then took a picture using a hacked overhead camera rig. 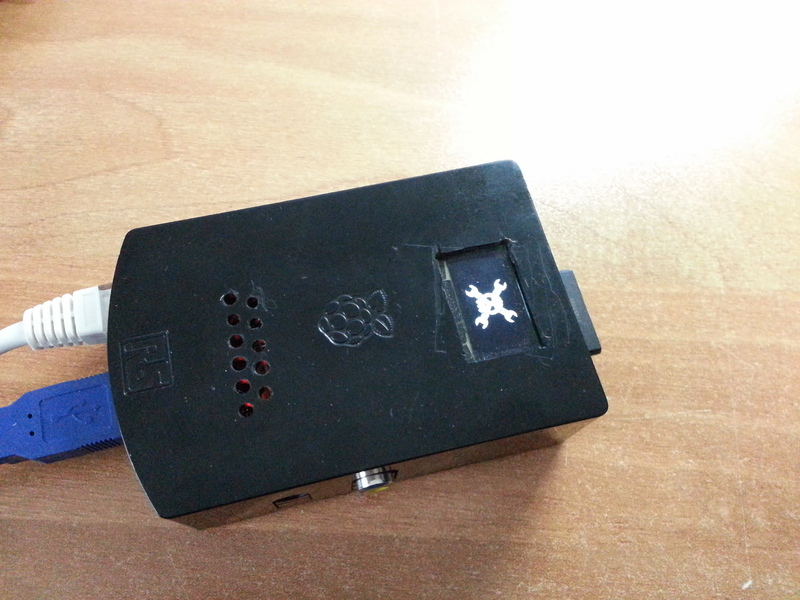 [Andrea] has been working on integrating an OLED display and a Rapsberry Pi in one case. It’s not quite finished but she did manage to make the skull and bones show up. 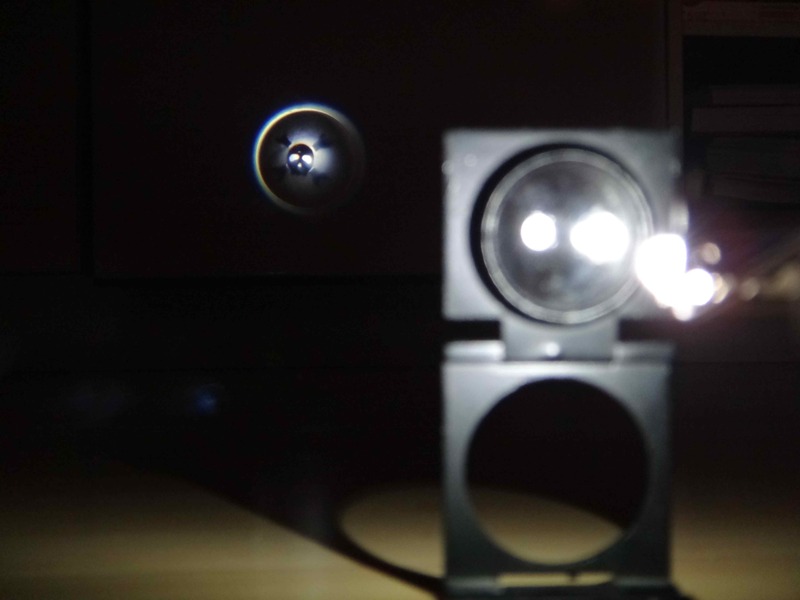 Here’s a DIY LED projector. [Adam] flattened the dome of an LED, then laser-etched the logo on it. 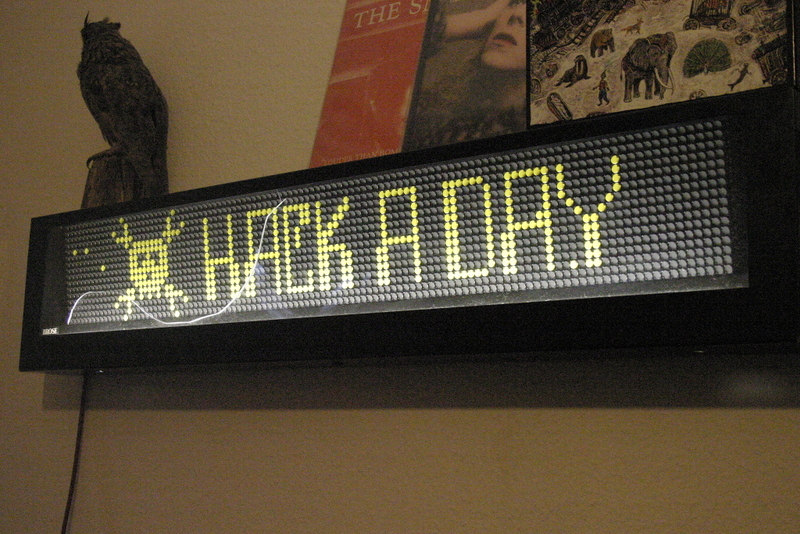 When shined through a lens it projects a Hackaday logo on the wall. We’re kind of surprised more people didn’t pull out their POV rigs to make contest entries. [Jacky] sent this one our way. 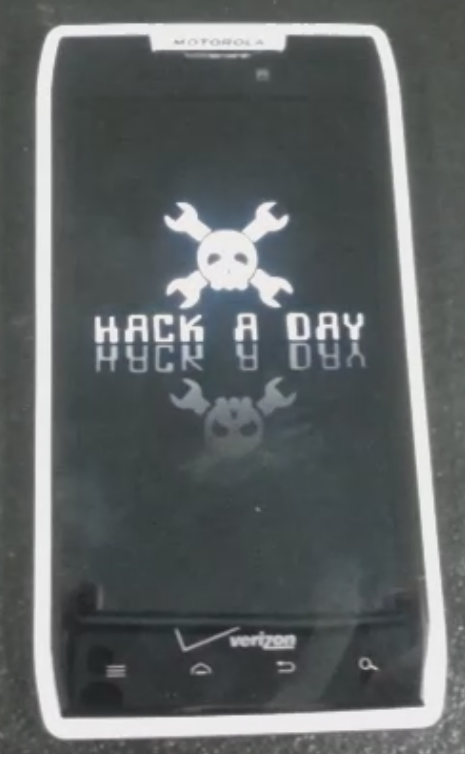 [Ken] also displays the logo on a character LCD. We saw a similar entry the other day but we know this one came in before that was actually published (no plagiarism here!). Again, we saw something similar the other day but this was sent in before that published. We say similar because the previous offering was a splash-screen, this is a boot animation. This totally sweet entry isn’t Photoshop. It’s a flash projector. There’s a stencil on the camera flash — the observe probably can’t tell what is being shown but the camera captures all. A big thanks to [Aki] for documenting how it was done. [Rodney] got all artistic on us, spending about 12 hours with Blender and Sculptis to create this… thing. 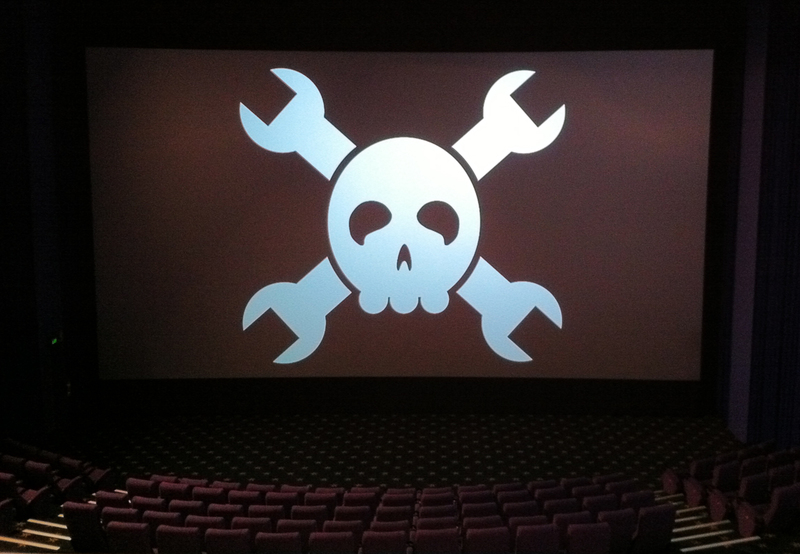 [Chris] put Hackaday on the silver screen. He’s a projectionist and turned the house lights on to get a glimpse at what our logo looks like on a 14×8 meter (45×26 feet) theater screen. If my submission sent on the 31st isn’t in here, was it received? I think this is just a selection of interesting ones, pre-judging. I wouldn’t worry yet, tho I suppose you could email to check. I thought I saw something like that before. 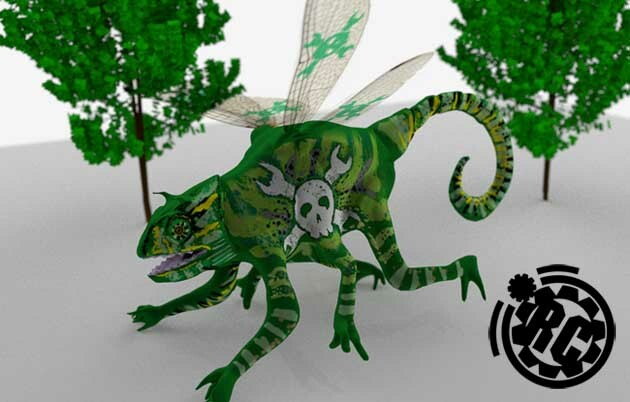 It was on Hackaday… Do you remember the image fulgurator?